As more writers turn to ebook publishing the competition increases for the minds and hearts of readers. The increasing competition demands that you must Write Better Fiction and Promote better what you publish. While writers are experiencing unprecedented freedom and income with ebook publishing the old world of "Publishing" is crumbling. This "revolution" presents an opportunity but it also contains an added burden for writers. The easy, quick, low cost access to publishing via ebooks for you; also means your competition has the same; easy, quick, low cost access to publishing via ebooks. Anything you can do, your completion can do. Publishing may have become easier but it's ALSO just become more competitive. "For the better part of a decade, many people have been predicting the end of traditional publishing and the rise of the ebook. That moment appears to have finally arrived, thanks to the popularity of the Kindle and other ­ereaders, as well as the iPad. "But, as usual, the bad news for some is good news for others. While publishers and bookstores are hurting, many writers are doing better than ever thanks to ebooks. In fact, some are doing so well they’ve walked away from careers with publishing houses to go it alone on the Kindle, iBookstore, Kobo and the other e-services that are launching almost daily. 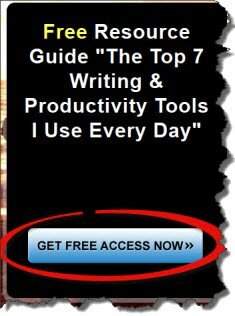 "Most of these services allow ­writers to self-publish and offer them a decent cut - 35 per cent to 70 per cent, depending on the price. That's a lot better than the 25 per cent publishers generally offer for ebook rights. "...ebook sales in general are rapidly gaining on print sales. ­Forrester Research reports that ebook sales in the United States hit $966 million in 2010, up from $301 million the year before. "In Canada, HarperCollins says it's seen a 500 per cent increase in ebook sales since 2009, while Random House Canada has seen a 400-per-cent jump." Before we get too excited about ebook publishing writers must keep this point in mind. Self publishing is not a solution for a lousy book. As more and more writers turn to ebook publishing as their self publishing vehicle; the competition only increases for the minds and hearts of readers. The explosion in self publishing is ALSO an explosion in competition. We must Write Better Fiction and we must PROMOTE what we publish if we hope to compete in this super heated marketplace. Write Better Fiction and Promote BETTER what you publish – that must be your mantra.